December is the season of Advent. This is a time for families to focus on the coming of the Lord. The Advent wreath is a symbol of this time and has a number of symbolic elements to remind us of Jesus’ coming. 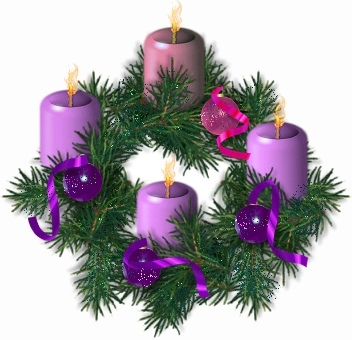 The three purple candles in the Advent wreath symbolize hope, peace, and love. These candles are lit on the first, second, and fourth Sundays of Advent. The pink candle symbolizes joy and is typically lit on the third Sunday. Sometimes there is also a fifth white candle that is lit on Christmas day and symbolizes the birth of Jesus.